It’s funny; this project started out as someone else’s goal. 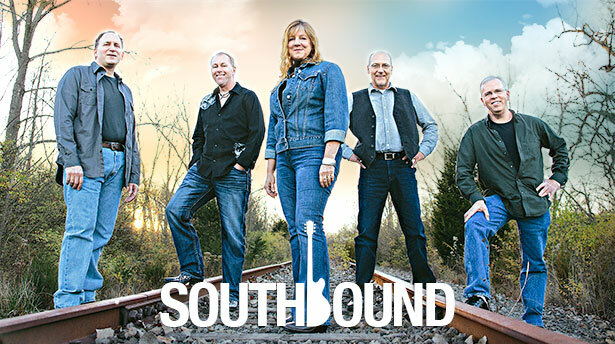 Near the end of 2013, I was playing drums with Southbound, a Dayton-area, southern rock, cover band. 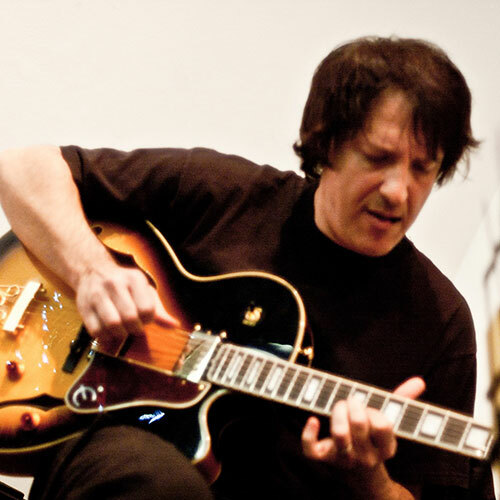 My friend and bandmate Tom Scarpelli set a band goal for 2014: release an album of original music. Ok.
Southbound circa 2013. Tom Scarpelli is on the far right. I hadn’t written any music since my EP “It’s Not What You Think,” released in 2003. Ten years. Up to then, I had been creating music for radio and TV, recording, and running a studio for 20 plus years. It wasn’t a tremendous living, but we got by. Near the end of my studio time, I was bored. It just wasn’t fun anymore. Doing the EP was challenging, but I was burnt out. So I took a break. A really long break. With a change in technology, and a big change in marketing, I reinvented myself. I built a new career developing websites for small businesses. I didn’t even think about doing music until 2009, when I started playing drums again. In my mind, drumming can be a disease. It can go into remission, but the desire and drive to play always comes back, oftentimes with more fervor and fever. So here I was, 4 years later, embarking on the task of collaborating on an album of original music. I felt like I needed to take the lead on the project. After all, I’d been there, done that, and worn out the tee shirt. So, I got busy. I spent much of the summer of 2014 writing and playing gigs while keeping my business humming along. Every time I had a musical or lyrical idea, I recorded it or wrote it down. I was determined. It had been years, but I knew how to do this. I had confidence. I was able to create a diverse collection of solid song demos in my humble studio. Southbound was wrapping up production by December 2014. Three of my songs made it through the process: Instant Replay, Nine Mile Road, and She’s My Baby. I felt the project was short at just 8 songs, but we were running out of time with the release scheduled in March. Some of the band members felt very strongly about another one of my songs making it onto the CD: Start All Over Again. The demo was really well flushed out. It just needed a guitar solo, and with a good mix would be a nice addition to the work we had already done. Unfortunately, the band rejected the song. Rejection of any kind can be a powerful catalyst. When I was in the 5th grade, I wanted to play drums in the school band. The orchestra teacher told me I didn’t have the aptitude, and wanted me to take up the violin. From that point on I was determined to play drums. You can hear how that worked out. Rejection gone underground. In my mind I could hear my dad saying to me, “Jeff, if you want to get something done, go do it yourself.” He was absolutely right, and that’s how I had approached music. I was always more comfortable ensconced in a studio by myself than on stage. With these songs I had a really good start on a second album, and I knew how to make it happen. I could record everything. I could mix everything. I’d done this for years and I certainly could do it now. I just needed to finish mixing the Southbound project. With the New Year came a renewed desire to get deeper into music. I love creating music, and I really enjoy the recording process. In January 2015, I started submitting some of my older material to music libraries and music supervisors. Knowing that I had made “a living” in music before, surely I could do it again. At this time the new Southbound songs weren’t finished yet, and I didn’t feel good about submitting my demos. To my surprise, the music business was quite a bit different than it had been 15 years ago. The industry had changed drastically, and there wasn’t a warm reception to my older music. I received a lot of rejection: at least 98% of everything I submitted was turned down. Then I made what I believed to be a great connection: I met an award-winning engineer, songwriter, and voting member of The GRAMMY Recording Academy. This guy agreed to master a couple of my songs for me. I was beyond excited. I sent him what I felt was my strongest demo, How Long. It was fairly well flushed out. After a week or so, my new friend asked me to make some minor modifications to the mix, to make it stronger. I thought “Well, he clearly knows more than I do …” so I made the changes and sent it back. Three or 4 complete remixes later, and after re-vocalizing all of the tracks, he still wasn’t happy with my mixes. I was frustrated. Can I not hear anymore? Granted, it had been a good while since I had lived the studio life daily. Maybe I’ve lost my edge. Over a period of a weeks he completely remixed the song at least 8 times. And every mix was more horrid than the last. I was devastated. I didn’t trust my ears anymore. I lost confidence. He felt bad. I felt worse. While feeling this loss of confidence, I was still working on the Southbound mixes. I needed help. I called my friend John Hughes, and he agreed to work on finalizing the Southbound mixes I’d already started but couldn’t complete. The Southbound album “Hands Of Time” was mixed and released in March of 2015. Months went by, and still something was pushing me get those songs recorded. In September, I decided to take a different approach. Once again, I called my friends Lee Swisher (guitar), Mike Stein (guitar & keys), and Tom Scarpelli (bass), and asked them if they would be willing to help me get this project started. All agreed. 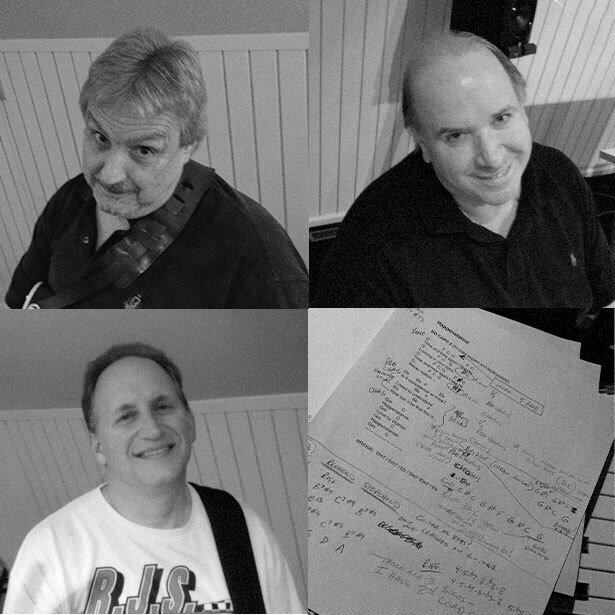 The studio crew (clockwise) – Lee Swisher, guitar; Mike Stein, guitar/keys; and Tom Scarpelli, bass. I have huge respect for these guys musically and I was excited. This was going to be a great way to get things done, and fast. By recording these songs as a band, all of the basic tracks would be tracked in one pass. This was a brilliant idea. I sent files and charts of five demos and everyone got to work. We spent one night a week for several weeks rehearsing and recording various performances. We were playing the songs, playing the right chord progressions, playing the right arrangements, but for whatever reason it wasn’t working for me. The songs just did not sound the way I heard them in my head. It was very disheartening and I blamed myself. I really wanted this to work. After all, these guys were my friends and they were working hard to make it happen. I was the leader, and if a leader doesn’t lead, well…you know, things don’t usually work out well. And they didn’t. It was now November. Nearly a year had passed, and I was still nowhere. This is a song that came out of the band sessions. Unfortunately this one didn’t make the album. It’s a great track… it just didn’t fit with the rest of the material. So I started over, re-recording all the songs, the way I used to work…track by track. First, I’d lay down an acoustic guitar track. Then a scratch vocal as a guide. Then add drums. Then synth bass. Then redo the acoustic guitar track and add keys, electric guitars, and anything else I felt it needed. Every song was recorded this way into February 2016. Twilight was re-done a second time. Happenstance was re-done 3 different times. I didn’t trust myself. By this point my confidence was shot. It was a struggle. Finally in March, I started cutting vocal tracks, guitar solos and additional parts. I called on Mike Dowden and Lee Swisher, two very talented guitar players. Mike Dowden was always my first call guitarist back in the studio days, and Lee Swisher, who is an amazing player, knew all the songs from my failed first pass approach. Lee and Mike knew exactly what to do to make my tracks feel perfect. I was finally making some progress. In June of 2016, I played drums with Eldorado Brown at Sweetwater’s Gearfest in Fort Wayne, Indiana. What an honor it was to be playing for a large group of other musicians from across the midwest. It was there that I met guitarist Marcelo Berestovoy. Marcelo was born and raised in Argentina, where he worked with some of the biggest names in Latin music. It turned out that he needed help with his website, and I needed lead guitar on three more tracks. It was a match. Marcello lives in Dallas, so we did everything long distance. I would email him a mix of the song, we would talk about what I was thinking, and then he would cut tracks in his home studio. Once completed, he would send the completed guitar tracks back to me. It was really a great way to work, and it was a joy to work with him. Finally, I’d made it through tracking and it was time to mix. Now, you would think that after all the rejection, project starts and restarts, loss of confidence and just general strife, I would be happy to be at the mix stage. The truth is I was not. It scared me. I had spent most of my career mixing tracks, but this was different. I couldn’t stop reminding myself of the experience with the unnamed engineer on How Long and of how I needed John Hughes to finish the Southbound mixes. That wasn’t going to work this time. John’s work was consuming his time and there was no way he could help me on this one. I was afraid that it could not be done; that it just wasn’t in me anymore. So I procrastinated. All summer long. My worst fears now realized. And then in late August 2016, after being away from the project for a while, I opened up the sessions and took a good listen. I’m not sure why really. Maybe just to prove to myself once and for all that I had lost my creativity and edge. Oddly enough it didn’t work that way. I was motivated to mix! Hearing those tracks again reminded me of why I first started to write music: music can connect emotionally to the listener. I loved how those tracks made me feel, especially after being away from them for a while. It’s as though my mind, coupled with time, had removed all the struggles I had been through and filled it with positive emotion. I don’t know how it works, or why it works, but I’m really glad it works the way it does. They say it’s not really about the destination, it’s about the journey. Well, if something I’ve written or recorded here affects anyone the way it does me, then the journey was well worth it. This record is very personal to me. It's a triumph over depression, creative block, self-doubt, and generally thinking that my best years were behind me. I can’t tell you how great it feels for this to be in someone else's hands! A great big thank you to: God; my amazing wife Debra for putting up with me through the entire process; Lee Swisher, Michael Dowden, Marcelo Berestovoy for lending your time, talent and friendship, John Hughes for ProTools support and mastering (thanks for lending me your ears and making this work! ), Mike Stein for helping me get the recording process started, Tom Scarpelli for getting me motivated to write again, David Triwush for always bringing a camera, and finally to Ray Monell for your friendship, encouragement and always meaningful lyrics.